A recent article published in the Washington Post, highlights the dropping participation in youth sports. 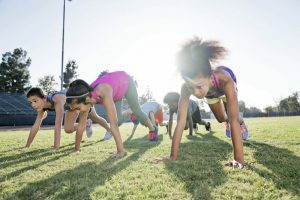 Yes, this can be attributed to the rising inactivity in American children, however, one reason more and more kids are not participating in sports can be blamed on the cost. These high prices of competitive sports are actually keeping kids from participating, especially those from low income households. To quote Lisa Delpy Neirotti, associate professor at George Washington University, “If we’re really looking at being more inclusive and healthier society, we should probably get these kids playing together more out on the field – everybody, not just certain populations that can afford it.” With this exclusiveness, comes the “up or out” participation mentality, as experts call it. Competitive travel sports teams can cost up to thousands of dollars to join. These teams have trickled down to younger age groups, taking the top, most talented athletes. While this is great for those who are chosen, the children who are left behind develop a mentality that the sport is not for them. Their outlook on team sports, in general, can be skewed due to this exclusiveness, thus causing a drop in sports participation altogether. According to data from the Aspen Institute, in 2008, 45% of children ages 6 to 12 participated in a team sport regularly. Now, only 37% do. Former NBA player, Bob Bigelow, calls the participation drop, “a story of the haves and have-nots in youth sports in America.” Aspen experts state that American youth sports have ‘reshaped’ over the years, turning into a hypercompetitive, expensive atmosphere that forces parents and coaches to prioritize winning and elite skill development – even before children are ready for it. Aspen data goes on to show that the number one reason children want to play sports is not winning, but rather the desire to be with friends. 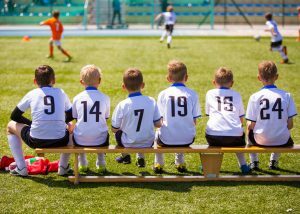 Coaches say that a large reason of why children drop team sports, specifically recreational sports at a young age, is because they could not be with their friends or are not on the same team as their friends. This is evident in youth soccer, where participation has dropped 9.5% over one year due to a U.S. Soccer Federation rule change that grouped kids by birth year rather than school grade. With the decrease in youth sports participation being directly linked to exclusivity and cost, a logical supplement would be a free fitness program. These statistics highlight the importance of a program like BOKS, where we aim to serve every kid, in every area. It is a free and inclusive program that is accessible to any school, household, or community center. BOKS strives to provide every child with the opportunity to exercise and play, regardless of talent level. BOKS is centered around non-competitive, inclusive play that aims to develop physical literacy and fitness skills that children can use for the rest of their life. At BOKS, no child will be excluded. Every child will have the opportunity to participate in an environment that encourages teamwork. While BOKS is unique in that everything we offer is completely free once a school or community center is enrolled, we’d like to share a few other resources to get your heart rate up and become a healthier you! At home exercises – check out YouTube for step by step videos that you and your kids can do together. Getting active to a “healthy level” doesn’t require any equipment, nor does it require a lot of time! Check out the BOKS Canada YouTube page for a few videos or sign up for our FREE Burst Activities (5 fun activities emailed to you each Sunday)! Bring BOKS to your local community center – Connect with staff at your local community health clinic to bring our free program to their facility. Free Community Yoga Classes – In many cities, there are free yoga classes that are open to anyone and everyone in the community. Go for a daily walk or run – the idea is just to get your body moving! Go for a couple mile walk, park far away from your destination, and take the stairs. The little activities throughout the day will add up. If you are interested in enrolling your school in the BOKS program, sign up here!